In January 1920, he formed a short-lived company with another cartoonist. However, following a rough start, he left temporarily to earn money at the Kansas City Film Ad Company. He was soon joined by Iwerks, who were not able to run their business alone. Later, though he acquired his own studio which was successful, studio profits were insufficient to cover the high salaries paid to employees. The studio became loaded with debt and wound up bankrupt. After that, he decided to set up a studio in the movie industry’s capital city, Hollywood, California. He created Oswald the Lucky Rabbit Oswald, which was one of his first huge successes in the cartooning business. At that time, he was only receiving a 20 percent cut on his films and was ready to negotiate for higher since he was barely earning. producer stole the character, and also stole his animation crew by negotiating contracts with them. His producer thought he would cave and work with the mere 20% he was paid. man went on to create his most successful cartoon character EVER – Mickey Mouse. 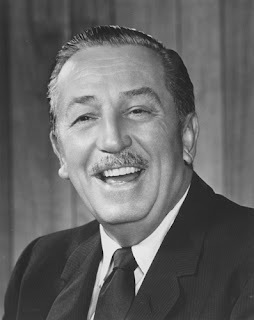 Yes, ladies and gentlemen, this amazing person is none other than the entrepreneur, cartoonist, animator, voice actor, and film producer Walt Disney. Reportedly, he was also told that Mickey Mouse would not work since a huge mouse on the screen would terrify women. Well, it seems that women were not scared, for this mouse has continued to share his story on screens all over the world, even today.